Between 100,000 and 170,000 people across the country will be diagnosed with a primary or metastatic brain tumor this year, according to the American Brain Tumor Association. Reversing that disturbing statistic has been the goal of Garo Yepremian, a former NFL star and Avondale resident who wants people to mark their calendar to assist. On Feb. 7, he is sponsoring Casino Night, a fund-raiser that encourages participants to roll the dice to support brain cancer research. The inspiration for Yepremian’s efforts began in 1998 when his youngest son, Azad, learned that his 19-year-old girlfriend, Debby-Lu, had been diagnosed with an intrinsic brainstem glioma: an inoperable brain tumor. With Azad by her side — the two married despite the distressing prognosis — Debby-Lu received treatment from Jefferson Hospital’s neuroscience program. Excellent care and a positive attitude helped to turn a six-month prognosis into six years. Debby-Lu died at the age of 26, and her father-in-law created the Garo Yepremian Foundation to continue battling the disease, a tribute to her indomitable spirit. 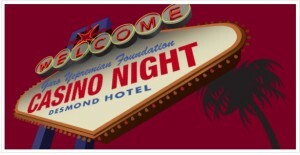 Casino Night, one of the foundation’s annual fund-raisers, will be held from 6:30 to 11:30 p.m. at the Desmond Hotel in Malvern. Tickets, which must be purchased in advance, are $100 per person and include casino gaming chips, a full buffet, celebrity guest appearances throughout the evening, prizes, and more. Sponsorship opportunities are encouraged and will include the sponsor’s logo on gaming table signs and a PowerPoint presentation. 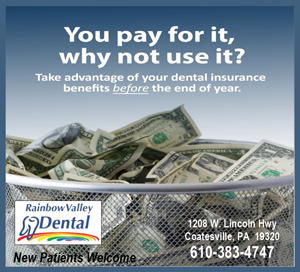 For more information, visit http://www.yepremian.org or call 610-268-2299.